Most of us have probably heard about the need to “harden” seedlings before you plant them outside in your garden, but how important is it really? Won’t the plants eventually harden when you plant them outside for real? Day 1: Place seedlings outside in an area that gets filtered sun for about 1 hour. Choose an area (or a day) where winds are not expected to be too forceful. Days 2-4: Place seedlings outside in the same area, but increase the duration by an additional hour each day. Days 5-7: Continue to increase the time that they are exposed to the outdoor climate. If any days are expected to get harsher weather or thunderstorms, you may want to keep them inside and pick up where you left off the following day. The schlepping of plants indoors and out can be quick the hassle, especially if you have a whole bunch. Do stick with it however, since this process will ensure that your seedlings build up the strength and function that they need to cope with the colder nights, direct sunlight, and harsh winds that they will most certainly experience in the near future. 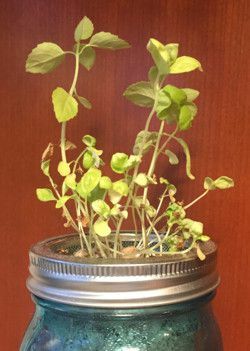 After the 7 days are complete, you are good to begin transplanting your seedlings to larger containers or to sow them directly into the garden. However, be sure that we have passed the last chance to frost, which typically for the Western PA area is the last week of April! Because of the wind and sun outside, your seedlings may dry out quicker during this process, so be sure to keep up your seedlings moist both before and after putting them outside. We wish you the best of success this year in your gardens… Happy gardening!